The Incline is an old rail bed from a no longer existing railway. It's in Manitou Springs and people go there to hike up 2800 railroad ties, which covers 1 mile and goes up to an altitude of 8600 feet. The average grade of the trail is 40% with the steepest at one point being 68%. Sounds crazy, right? 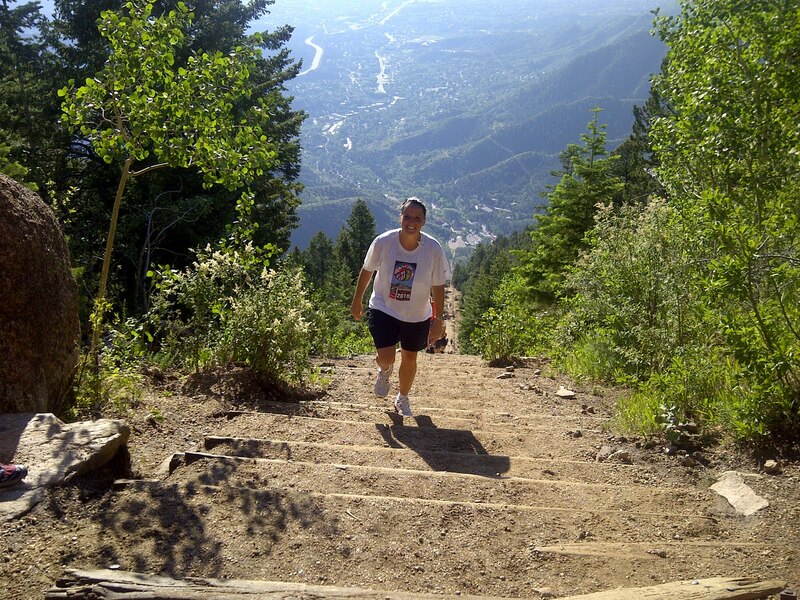 Well, the director of communications for USA basketball, Caroline Williams, Gail Goestenkors from Texas and I decided to hike the Incline this morning (Wednesday) at 7 a.m. We made it, but needless to say, my legs were very tired for practice today! Not sure the picture does it justice, but as tough as it was, the view from the top and the sense of accomplishment made it worth it. Wow! Quite Impressive! Great role model for our daughters!